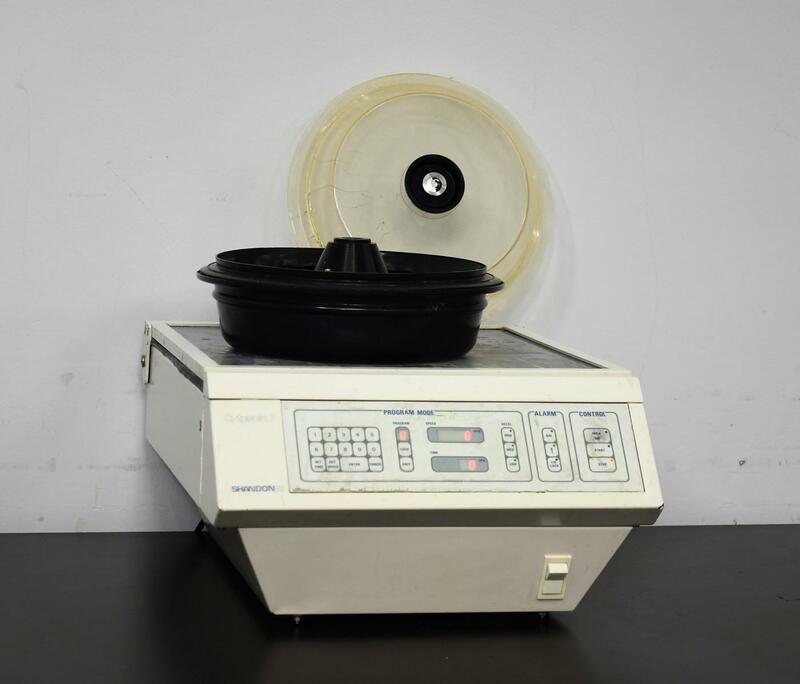 Shandon CytoSpin 3 Cytocentrifuge Centrifuge and Rotor Cell Preparation Warranty . New Life Scientific, Inc.
tested by our knowledgeable technician with no major issues found. is not a problem just a weird little glitch in the centrifuge. held at that speed for 40 minutes with no issues. buttons, including memory, were all tested. is in good cosmetic condition and runs at the manufacturer’s specifications.